Don’t our sweet boys deserve the best? 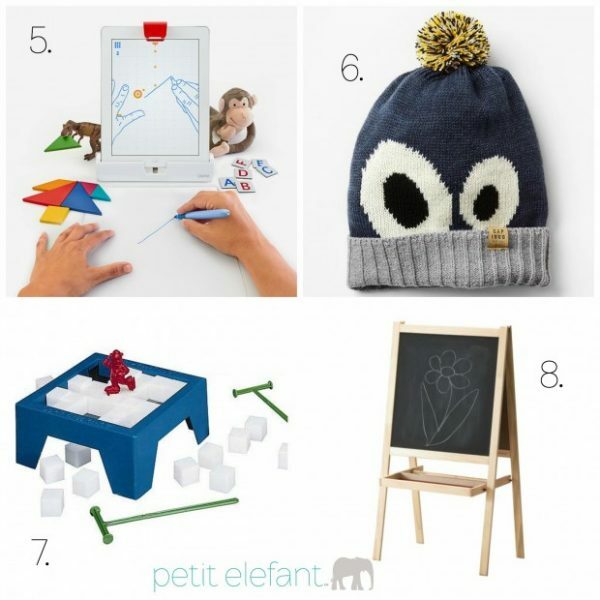 Spoil them this Christmas with these great gift ideas! I’ve heard people say that girls are easier to shop for than boys, or that it’s more fun to shop for girl stuff. But I disagree! There is something perfect and totally cool for every boy on your list in this guide. The builder, the athlete, the reader, the chef, you name it! Our holiday gift guide for boys is all you need to fill those Christmas wishes. 1. Easy-Bake Ultimate Oven: Little chefs will go crazy over this play oven! Every kid should get one for Christmas at some point in their lives. 2. LEGO Minecraft Creative Adventures Crafting Box: Combining two all-time favorite boy activities into one awesome toy. Your boys will build all day with this LEGO set. 4. 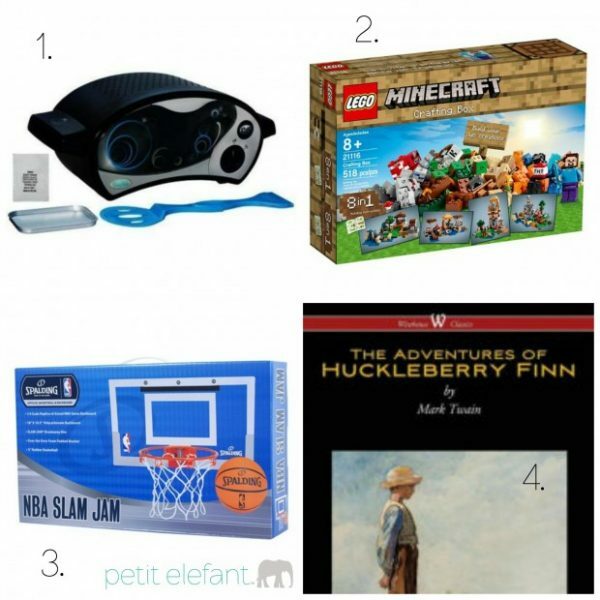 The Adventures of Huckleberry Finn: Since books always make the perfect gift, no gift guide is complete without at least one. Your bookworm won’t be able to stop turning pages in this classic novel that is perfectly boyish. 5. Osmo: This will easily become your child’s favorite game! It’s a video game, but not. Definitely check it out for all the tech loving kids on your gift list. 6. Googly Eye Pom-Pom Beanie: Keep your boy’ cozy and stylish with this adorable GAP beanie! 7. Don’t Break the Ice: Remember this game? If you’re boys haven’t played it yet, they need to! 8. Chalkboard Easel: This easel will provide hours of drawing playtime, long after Christmas has passed. In case we missed something totally awesome on our holiday gift guide, let us know. What’s your go to gift for boys?